I know, I know. You're sitting there reading the headline and thinking that I must have lost my marbles. I'm with you. 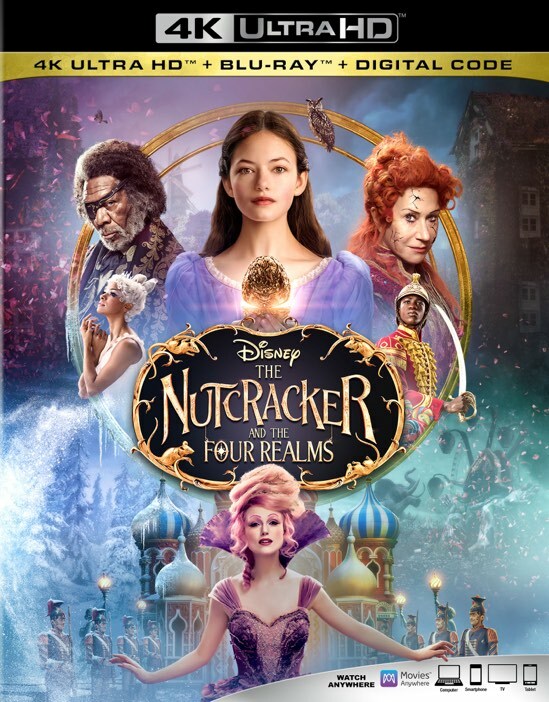 When I sat down to watch this film, I was convinced that it would be the stinker that so many other critics claim it to be, but I was honestly surprised that I enjoyed The Nutcracker and the Four Realms. It probably helped that I didn't screen it in some stodgy film theater all by myself, but rather with my family in the comfort of our home. My son, 5, and my daughter, 7, were the perfect pint-sized companions to help me unlock my own enjoyment of the film. Perhaps it was the super low expectations or the look of sheer excitement on my children's faces, but I saw in them the unmistakable power of cinema over a film that I was sure would just be another dud. The Nutcracker and the Four Realms takes the old ballet and turns it on its ear with deft allusions both in story and music, but less in the way of actual dancing. Young Clara (played by Mackenzie Foy) recently lost her mother and all she wants in life is the key to a mysterious egg that she left her for Christmas. Her mischievous godfather Drosselmeyer shows her the way to the key and in doing so unlocks a magical world in desperate need of a young savior. First and foremost, if you think that the film is just another retelling of the Nutcracker ballet, then you would be wrong. 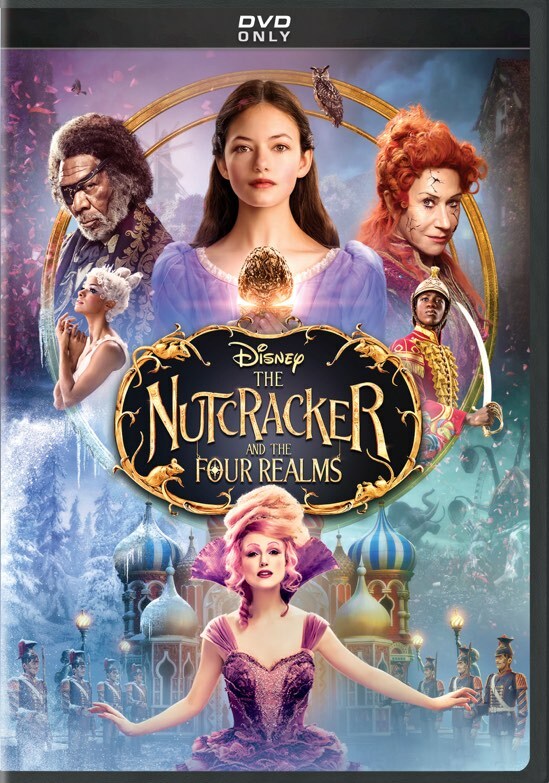 Sure, there are certain nuances and themes that play within the same universe, but The Nutcracker and the Four Realms is a completely unique experience. Beyond that though, I found the story to be compelling and original throughout, albeit a bit obvious in some of their machinations. But that's the point. This film is not intended to be enjoyed by critics or adults who were hoping for more Bolshoi and less Morgan Freeman. First, you should never wish for less Morgan Freeman. The man is a national treasure and you should relish and enjoy every single film that he makes. Second, we sometimes become jaded in our perceptions it takes something like watching a movie with a kid to realize that just because it's not for me, doesn't make it bad. Quite the opposite actually. I got as much if not more enjoyment out of the film by watching my children consume it. It was their naivety that I was able to fully appreciate the spectacle that is The Nutcracker and the Four Realms. They say the eye of a child is the most innocent prism to be found and, in this case, they would be correct. The cast of The Nutcracker and the Four Realms is top notch from where have you been lately Keira Knightley to the always wonderful Helen Mirren as the tyrant Mother Ginger. Sometimes it's easy to dismiss A-list actors and actresses who grab an easy paycheck in a kids' film, but we tend to forget that they bring so much to the film that lesser actors would never be able to pull off. Thus, the whole is better than the sum of its parts. Probably the most striking aspect of the film though is the visuals. The film is a brilliance of color that creates a striking palette on the eyes. I was fortunate to review the 4K UHD Blu-ray and this format is made for this film as the differences between it and the Blu-ray was readily apparent even to the most untrained eyes. Just ask my kids. When I was making the comparison and viewing a scene on the Blu-ray, my daughter asked me what was wrong with the picture. I was dumbfounded and asked her why she said that and she replied that it just looked duller and less bright. I couldn't agree with more. One of the things that completely caught me off-guard was the storyline about the mother who had passed away. For a film that was clearly targeted towards children, I felt that it was perhaps a bit dreary. But, to my surprise, my kids weren't turned off by it, but rather inquisitive. They wanted to know what happened to the mother and why she wasn't there to help daughter in the Four Realms. It allowed us to talk to our kids in the most general sense about death and the consequences, so the movie ultimately became a teaching moment and one that I hoped instilled even a tiny bit of compassion in them for when they eventually have to experience loss around them. 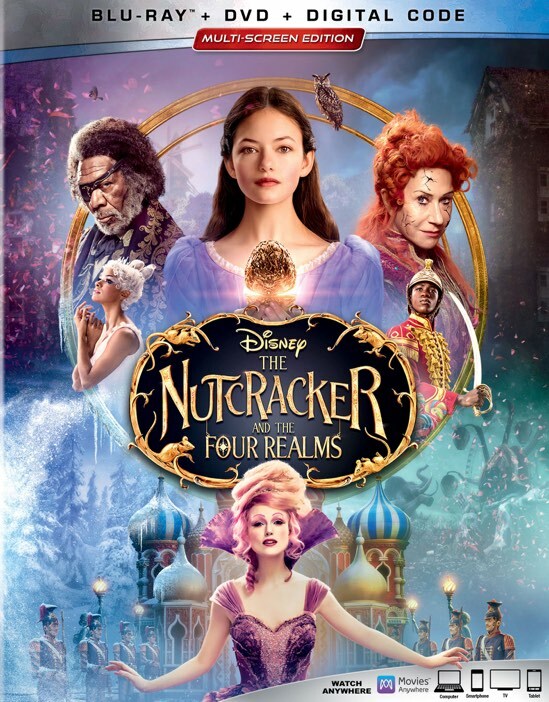 The Nutcracker and the Four Realms is a film that speaks to children and the child within each of us. As the parents of young children, it was exciting to see them interact with a movie that I wasn't prepared to like as much. It gave me a fresh perspective on entertainment and the realization that not everyone will enjoy things in the exact same way as I do. Naturally, your mileage may vary, especially if you don't have kids, but I was pleasantly surprised by how much I got out of the film.